This classic view of Paragon’s original entrance reveals a few bits of trivia, including an electric trolley running down the middle of Nantasket Avenue (the Hull Street Railway, separate from the electric railroad on the bay side). 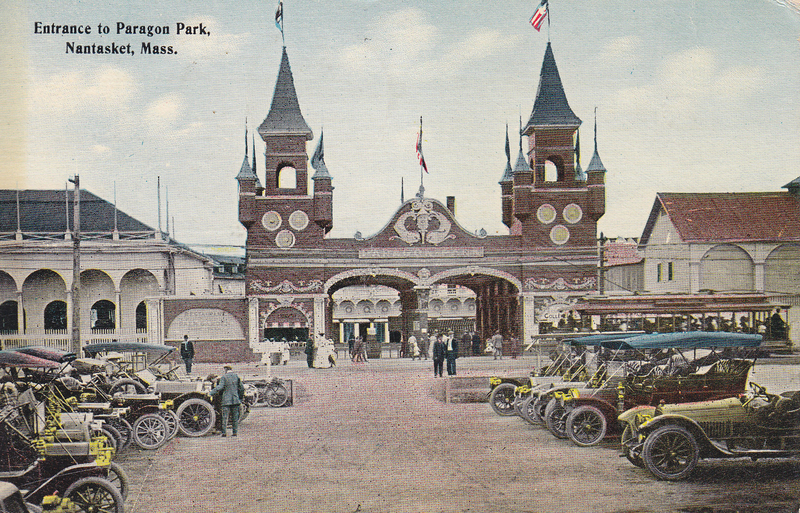 The buildings on either side of the entrance are pre-Paragon amusements that were incorporated into the park. 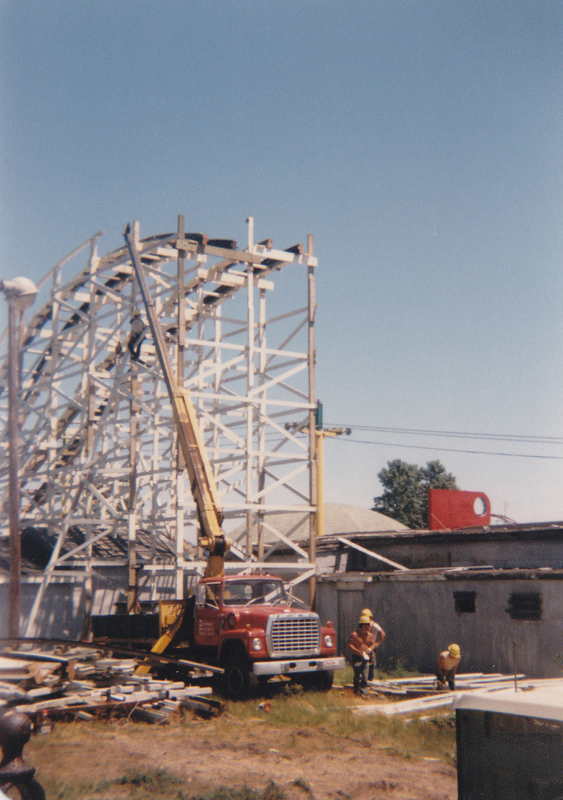 At left is the Steeplechase, an indoor funhouse franchised from Coney Island’s original, and at right are the Great Coal Mine and the Old Mill. These earlier attractions were built in 1903, two years before Paragon.